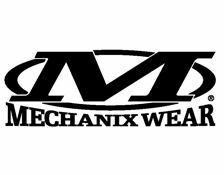 The Vent glove from Mechanix Wear is a shooting glove manufactured to prevent sweaty hands which can lead to loss of valuable control. It is designed to stop any heat building up with its perforated palm and breathable mesh top. The Vent has additional perforated protection on the thumb and trigger finger to help prevent wear and to provide additional ventilation. The micro fleece palm is also useful as a sweat wipe and is touch screen compatible, along with the fingers. The fingers have expandable flexible joints which follow the natural curve of the hand for a perfect fit. Velcro secured cuff for easy on and off fitting. Sizes – Small to XXL. Weighs – 72 grams. Colour – black.